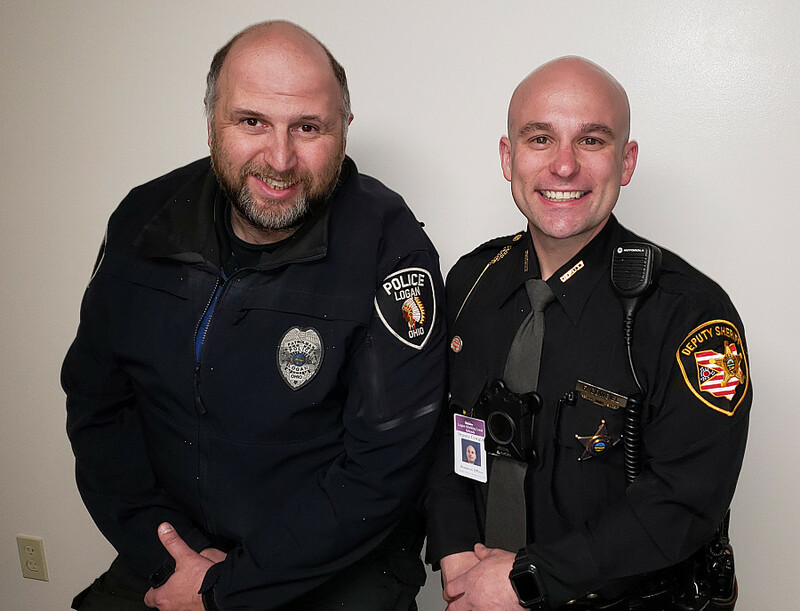 Reminder of Tomorrow's School Safety Community Forum-Interviews Here! We hope to see you all tomorrow evening for the School Safety Community Forum! Thank you to our media partners for helping us get the word out about this informative event. Read The Logan Daily News/Grace Warner's press release on the event. 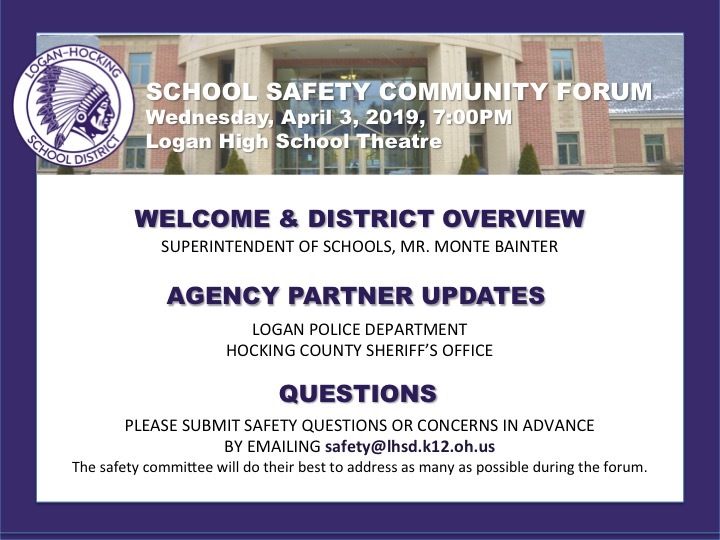 All are encouraged to attend this important school safety community meeting, being held tomorrow, Wednesday, April 3, 2019, at 7 PM, in the Logan High School Theatre. Please submit safety questions or concerns in advance, by emailing safety@lhsd.k12.oh.us. The safety committee will do their best to address as many as possible during the forum. Thank you for coming together to address the common goal of safety for every student & staff member in our district.